The next focal point for the kiwi dollar will be New Zealand’s GDP for Q4, due out on Wednesday at 21:45 GMT. Forecasts point to a pickup in growth, but even if that projection is met, it would still fall short of the RBNZ’s own forecasts. In isolation, this would argue for a slightly more cautious tone when the central bank meets again next week, which represents a risk for the kiwi. 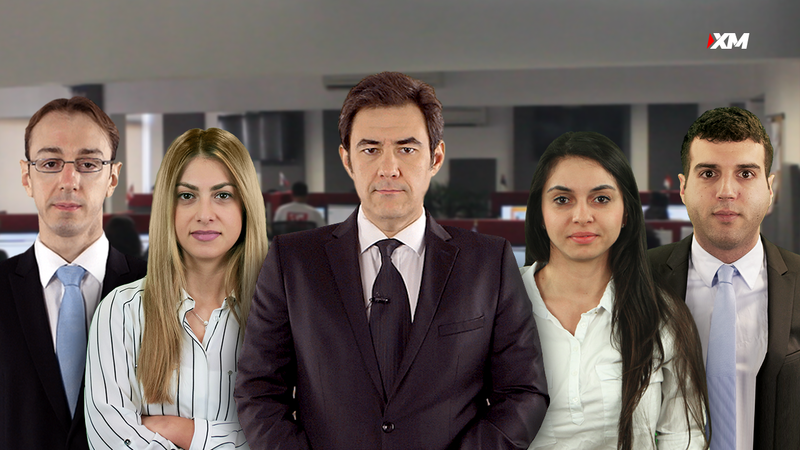 Economic growth is forecast to have picked up some speed in the final quarter of 2018, with the quarterly GDP rate expected to have risen to 0.6%, following a disappointing 0.3% increase previously. Alas, such a print would still cause the yearly rate to tick down to 2.5%, from 2.6% earlier. This discrepancy arises from the fact that growth in the quarter that will drop out of the annual calculation now, Q4 2017, was even stronger than 0.6%. 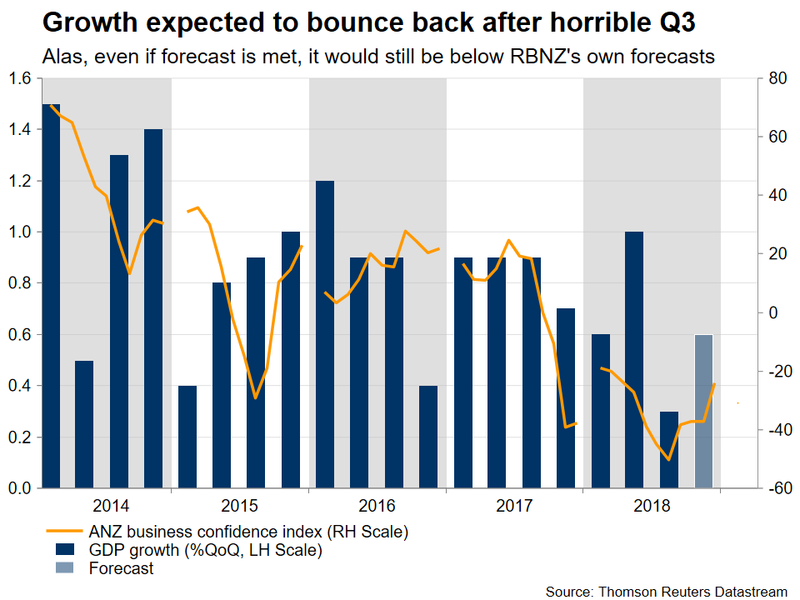 More importantly, such a print would be notably below what the Reserve Bank of New Zealand (RBNZ) anticipated in its latest forecasts back in February, which assumed a growth rate of 0.8% during Q4. The implication is that even if the market forecast is met, that would still be a ‘negative’ development for RBNZ policymakers, relative to their expectations. Other things equal, this would argue for a slightly more dovish tone when the RBNZ meets again, next week. The last time the central bank met, it surprised traders by maintaining a broadly neutral tone, confounding expectations for a dovish tilt. It continued to indicate that rates could move either up or down, appearing reluctant to place more emphasis on a potential rate cut despite a litany of worrisome developments, ranging from softness in the housing and labor markets to a slowdown in China – New Zealand’s largest export market by far. On the whole, developments since the February meeting haven’t been disappointing enough for this ‘neutral’ bias to change substantially, in other words for the Bank to adopt an official easing bias. Even if the Q4 GDP disappoints, policymakers may prefer to wait for 2019 data before they make any substantial shift in language. That being said, the broader tone in the statement could contain a slightly more dovish tilt, in a sense paving the way for a formal change in communication later on. Technically, immediate support to declines in kiwi/dollar may come from the 50-day simple moving average, currently at 0.6817, with a downside break opening the door for a test of the March 7 lows near 0.6745. On the upside, advances in the pair could stall around 0.6875, which has capped the rallies so far in March. A bullish violation would shift the attention to the February peaks around the 0.6900 handle.